Couples Tattoos that you won’t live to regret. We are now well and truly in the age of permanent body ink, and it comes as no surprise that couples are increasingly looking to demonstrate their love for each other in the form of special ‘Couples Tattoos’. In the past, committed couples have expressed their love in many ways, such as in rings,(engagement, wedding), chains & pendants, paintings, gifts, valentine’s cards, and love letters, but these days, lovers all over the world also like to show their undying love for each other in the form of ‘ink on the skin’. 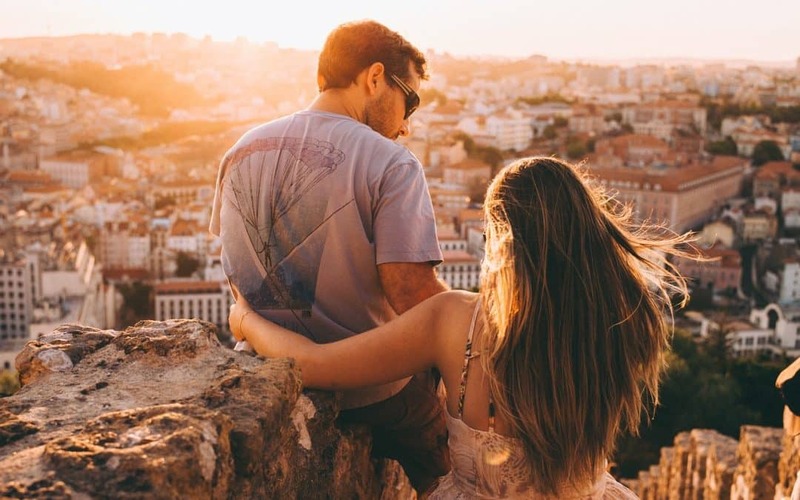 In the first blush of romance, young lovers feel so elated and happy that they often want to shout their love from the mountain tops – to tell the world they are in love and that their love is a special, wonderful love that will never, ever end. But you and I know that this is not always the case – not by a long chalk. Love and romance – at any age – is always at risk of going wrong. Most people fall out of love almost as often as they fall in love. Through the years we go through countless changes in our lives and lifestyles – in our jobs, where we live, our interests, our friends, our ideas… and crucially…our partners. This is part and parcel of life in 21st-century Western society. Whereas once upon a time partners were usually for life, (as most couples were obliged to stay together for economic reasons), this is no longer the case. An increasing number of people go through at least two marriages and most of us have a number of committed relationships in the course of our long lives. So how can I declare my love for my partner in the form of a tattoo without worrying about breaking-up in the future? The answer is that couples tattoos should be non-specific as regards to your partner’s name or identity. Then, if you do break up, you will not be lumbered with a ‘love’ tattoo that declares everlasting love to a person who is now gone from your life. It will be even worse if such a ‘name tattoo’ is then seen by the new ‘significant other’ in your life. Clearly, such a tattoo, particularly if it is in a prominent place on your body, will be something you may live to regret bitterly. Indeed the only way to solve the problem may be to go through an expensive, painful and time-consuming process to remove the tattoo, which may well leave tell-tale scars, or a cover up (which we do lots of!). But how can my partner and I have a truly meaningful couple’s tattoo without putting our names in ink on our bodies? There are many ways to achieve this, and it is quite feasible to have ‘matching tattoos’ that clearly demonstrate your love for each other without stating your names. Some people get around the problem by simply restricting the name to a single initial, which should be relatively easy to change or cover up should the relationship come to an end. This is fine, but there are many other, more creative ways to express your love without having to resort to inking initials. For many, the best ‘couples tattoos’ are minimalist – small and simple is beautiful – maybe something that has deep meaning for both of you, or something that matches both of your personalities or shared interests. Symmetrical tattoos are always great to look at when you are together with your partner, but choose something that has still meaning even when alone. One of the simplest, and most effective of ideas is for both of you to write “I love you” on your forearms, or on some other visible part of your body; or maybe “Together” across one partner’s back of hand, and “Forever” on the back of the other partners hand. A popular classic for partners is to ink matching tattoo Rings or Wedding Bands on matching wedding fingers. An oldie but goodie is matching “Hearts” or a small “Celtic or Christian Cross” on matching arms. Or how about a “King and Queen“, or the “Sun and the Moon” or the symbols for “Yin and Yang“? Then there is the “Lock and Key” – one partner has the “Lock” and the other the “Key“, again probably on matching arms. This can signify your love is firmly locked, or that your partner holds the key to your heart. An alternative could be jigsaw pieces which fit together. How about a simple geometric or abstract design that spreads over two bodies – maybe on your arms, side or thighs. The drawing looks great on a single body, but even better when the two bodies are side by side. Two “Matching Anchors“, showing that you are anchored to each other is another favorite. How about “Mr” on the male and “Mrs” on the female? Another good idea is to have twin tattoos of a building, place or a location that means a lot to both of you. Matching “Origami Birds” is a novel idea – maybe in different colors. Slightly more adventurous could be “One Arrow” that joins the two of you, possibly on your arms, or maybe a more adventurous abstract design that spreads over your two upper thighs. Another idea is to have “Half of a Heart” on each partner’s body which becomes whole when put together. Another similar idea is the “Circle of Love“, with each partner having a semi-circle on matching fingers. Taking a gamble on the future? Then what better than a pair of matching but different card suits, such as a “Red Heart” and a “Black Spade“? As you can see the variations are endless, and not a single one of the above suggestions contains your partner’s name, so if the worst happens and you do split up, you can still wear your tattoos proudly. When looking to ink such tattoos on your body and your partner’s body, it is even more important to go to a worthy and reputable tattoo studio, such as we have at ALL DAY Tattoo in Bangkok. At All Day Tattoo, not only can we help you choose something that works well for the two of you but can also give advice on the ideal size and body placement to provide you with the effect you desire. Why not click the button below and arrange a free appointment with one of our celebrated tattoo artists and discuss your “Tattoo Couple” ideas with us. Remember, our advice is free and there is no obligation for you to use our studio.